Before RE/MAX spread across the land, the big boys rarely paid more than 70% splits to their top agents. As the red, white and blue signs dotted the landscape in more and more cities, RE/MAX forced traditional brokers to pay their agents more to retain them. You see, whether or not you are a RE/MAX agent, you have benefitted from the concept RE/MAX made mainsteam. Simple and flexible. It’s how we designed our value proposition to the Las Vegas real estate community. Whether you operate as an individual agent or a team, RE/MAX Advantage has a compensation plan to fit. Our business model is scalable to your needs. 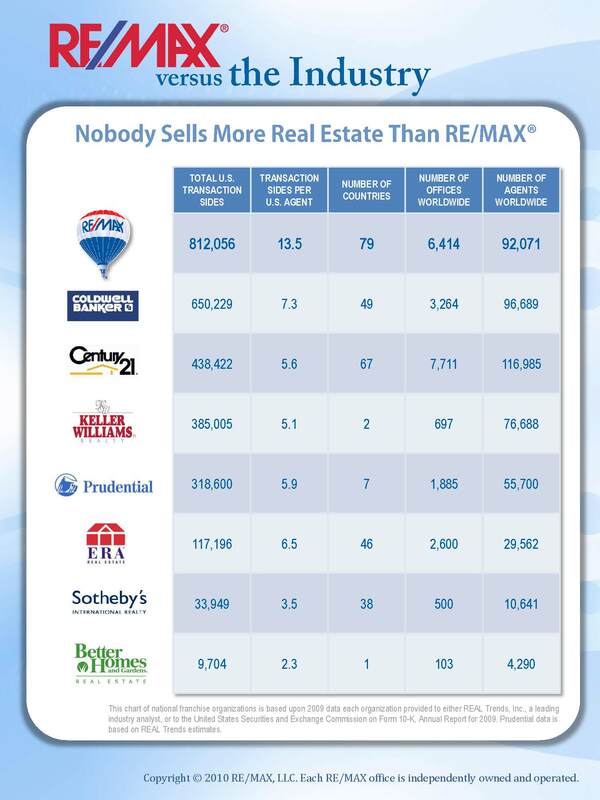 RE/MAX was created by top producers for top producers. Get the tools, leads, branding, and technology RE/MAX offers from $225/mo & NO COMPANY TRANSACTION FEE! 100% commission* - our original compensation program that revolutionized the entire real estate industry. 100% split * – share a little with us when you get paid. It caps at $50,000 in GCI and then converts to 100%! Teams! We have competitive and flexible team leader and team member compensation plans. Schedule a meeting today to discuss today! Work from home or work within the office. It’s up to you. It’s your business – we support it like no one else. RE/MAX Advantage is not the cheapest place in town but simply, the best value in town. In the end of the day what’s more important to you and your family..saving a few bucks a month in office costs or taking home $20,000 or $30,000 more each year?